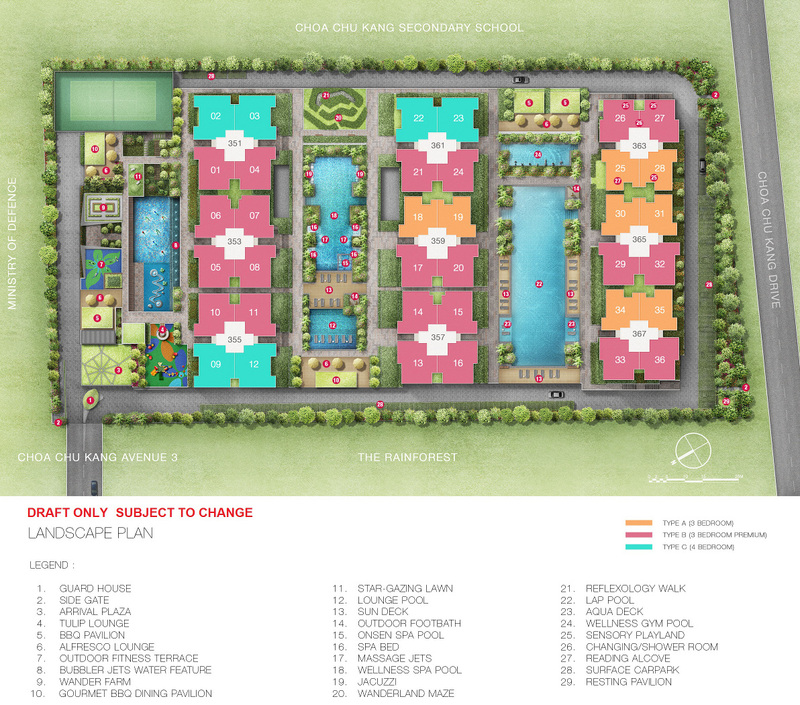 The Wandervale EC site plan is a simple straightforward layout. Yet extremely functional and well thought out, with some pretty nice touches. It basically comprises 3 parallel rows of apartments, aligned in a roughly north-south manner. 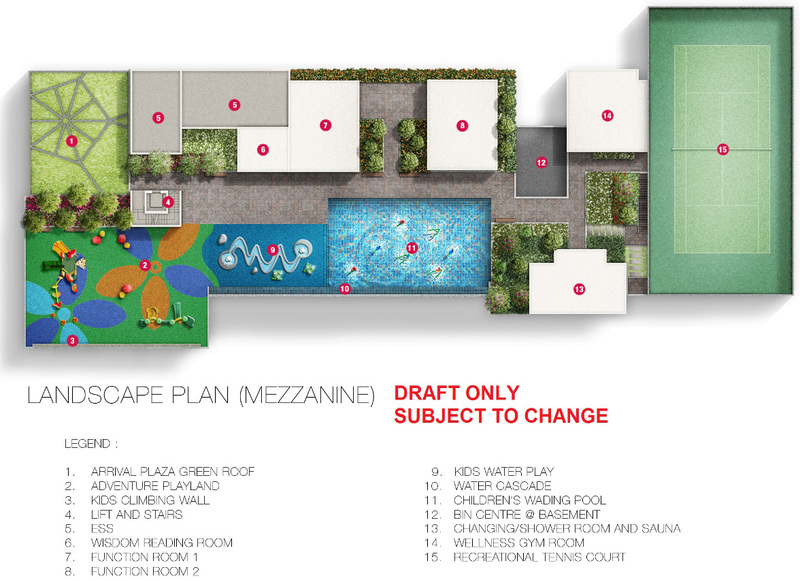 Designed with pools in between them so that all units, except the last row facing the road, get pool views. To register for details or showflat viewing or VIP Preview, just contact us below. The units are all aligned in a roughly north-south orientation, that minimises the heat of the west afternoon sun. In addition, to the west of the Wandervale site is Rainforest EC, that helps to shield the lower floor units from the west sun too. 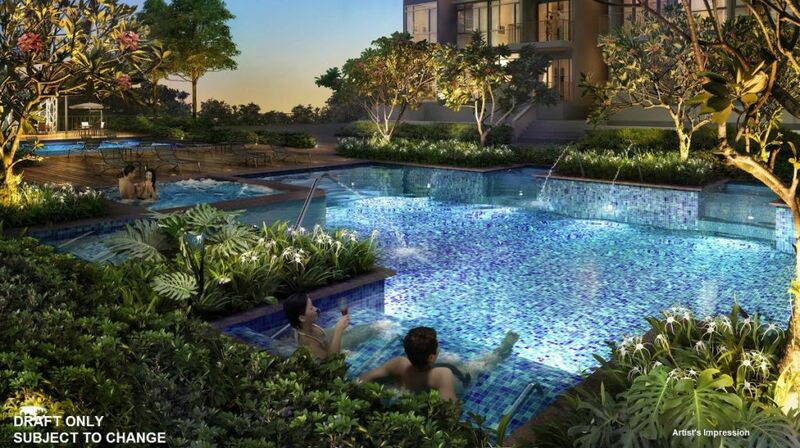 The blocks are interspersed with pools or water features and landscaping, so that almost all units get nice views. Good spacing between the blocks: over 30m apart from block to block. Side gate opens out to Choa Chu Kang Drive, at the corner nearest to Choa Chu Kang MRT station and to Lot One shopping centre. The Parkwood Collection showflat is undergoing construction and not ready for viewing yet. Not much information is available for this project right now and the floor plans are still pending final approval from the authorities. However it is expected to launch at the end of 2018, or at a stretch, possibly in early 2019.